Sauce Dispensing Chopsticks | OhGizmo! Those are truly awesome, hah. They must be ackward to use though! Great idea! 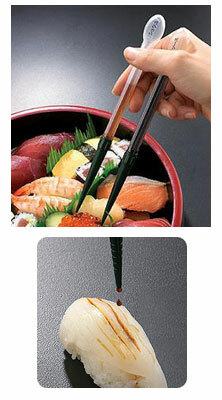 I would considering getting these if I knew how to hold chopsticks.